Featuring a braking assist, hill start assist, stability control, traction control, anti-lock brakes, dual airbags, side air bag system, digital display, and airbag deactivation, be sure to take a look at this 2016 Hyundai Elantra SE before it's gone. Stay safe with this sedan's 5 out of 5 star crash test rating. Complete with a stunning gray exterior and a gray interior, this vehicle is in high demand. It has great mileage with 28 MPG in the city and 38 MPG on the highway. Want to learn more? Call today for more information. Contact Information: Hamer Honda, 7514 Reseda Blvd., Reseda, CA, 91335, Phone: (818) 609-7441, E-mail: salesreply@hamerhonda.com. This Black 2013 Acura RDX Base might be just the SUV for you. It comes with a 6 Cylinder engine. With a gorgeous black exterior and an ebony interior, this vehicle is a top pick. Rev the engine...this vehicle has a rear spoiler! Want to learn more? Call today for more information. Contact Information: Hamer Honda, 7514 Reseda Blvd., Reseda, CA, 91335, Phone: (818) 609-7441, E-mail: salesreply@hamerhonda.com. The backup sensor, push button start, remote starter, parking assistance, braking assist, dual climate control, stability control, traction control, anti-lock brakes, and dual airbags of this 2016 Ford C-MAX Energi SEL make this vehicle a true standout. This wagon scored a crash test safety rating of 4 out of 5 stars. Rocking a beautiful dk. gray exterior and a charcoal black interior, this car is a sight to see from the inside out. Get on the road faster with remote starter. This is the vehicle you have been waiting for! Call now to schedule a test drive! Contact Information: Hamer Honda, 7514 Reseda Blvd., Reseda, CA, 91335, Phone: (818) 609-7441, E-mail: salesreply@hamerhonda.com. Treat yourself to this 2016 Hyundai Tucson SE, which features a braking assist, a power outlet, hill start assist, stability control, traction control, anti-lock brakes, dual airbags, side air bag system, digital display, and airbag deactivation. Looking to buy a safer SUV? Look no further! This one passed the crash test with 5 out of 5 stars. With a stunning mojave exterior and a beige interior, this vehicle is a top pick. Call and schedule your test drive today! Contact Information: Hamer Honda, 7514 Reseda Blvd., Reseda, CA, 91335, Phone: (818) 609-7441, E-mail: salesreply@hamerhonda.com. Can I trade in my car to get a new vehicle? Yes! The best way to start this process is to use our online value your trade tool to find out how much your vehicle is worth. Then come over to Hamer Honda and we will inspect your car and then give you an exact trade-in amount. After this, you just trade in your vehicle and pick a new one! Used cars are a great option for people who may have a lower budget or who aren’t looking for a car to last for as long. Used cars usually have anywhere from 10,000 to 200,000 miles already on them. 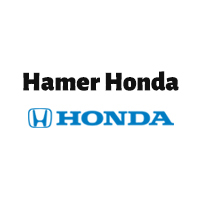 Here at Hamer Honda we inspect used vehicles and make any repairs they need to help them run as smoothly as possible. Used cars have a lower price tag and are a great option for a vehicle purchase! What are the best used cars to buy in the San Fernando Valley? There are a large variety of cars you can choose from, especially here at Hamer Honda. The correct answer really depends on your lifestyle and specific needs. One of the best rated used family/passenger vehicles is the Honda Accord. Need more room for outdoor activities? You may want to check out the Honda Ridgeline pickup truck – a very reliable, helpful vehicle. Have an active, on-the go lifestyle with kids? How about a Honda Odyssey or Pilot? If you’re looking for incredible financial and environmental savings, then of course you’ll want to consider a Honda Civic Hybrid. Honda used cars will give you years of reliable, safe use without hassle!